The solutions you need in the air for everything you need to get done. With innovative products and a commitment to our customers, we put the business in business aviation. It’s voice and text; wireless Internet, email and entertainment; even cockpit data. It’s rock steady connectivity performance. 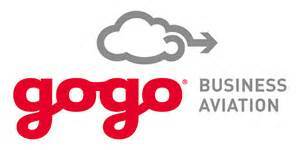 It’s the innovation and service of our Gogo Business Aviation team. And for business travelers, it’s the freedom to stay in touch, in flight—on any aircraft, anywhere in the world.